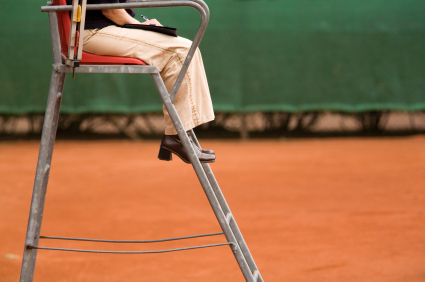 A former U.S. Tennis Association umpire and referee has sued the Association’s Pacific Northwest Section for allegedly retaliating against her for complaining about men being selected over women to officiate at higher-ranked matches. Motorola Solutions, Inc. (which makes police radios and other public-safety equipment) has sued one of its former senior executives in Illinois state court to stop him from heading up the public-safety business at Harris Corp. Motorola claims that the former executive has violated his non-compete by taking the new job and that he could use Motorola’s trade secrets (such as pricing strategies) in the new job. The Virginia Supreme Court (see Schuiling v. Harris) has ruled that an employment dispute between the owner of a car dealership and his housekeeper will have to be arbitrated even though their 2007 agreement to arbitrate specified that the arbitration would be administered by an organization that no longer exists. The VSC said that the provision that specified the organization could be severed while leaving the rest of the agreement to arbitrate intact and that, under Virginia law, that means that the trial court can appoint an arbitrator. The SEC is seeking comment on proposed rules (see them here) that would require public companies to disclose comparisons between the total compensation of their chief executive officers and the median compensation of all of their other employees. The rules would not apply to companies with less than $1 billion in annual revenue or less than $75 million in securities held by the public. Finally, as we tweeted yesterday, the Fourth Circuit Court of Appeals has held that a deputy sheriff in Hampton, Virginia had a First Amendment right to “like” his boss’s political opponent on Facebook without being fired for it.